The instrument platform plics® makes every measuring instrument unique: Your instrument is assembled from components best suited to your application, selected from among more than 20,000. Sensor, process fitting, electronics and housing: You get the perfect instrument for your application – with no compromises! Modular instrument platform, fast delivery! plics® and our delivery time concept SPEED give you planning certainty and reduce your inventory costs. 80 percent of all customized VEGA instruments are delivered within two to five working days of ordering. Together, the functions for self-monitoring, the display of maintenance requirements and the data memory for diagnostics reduce maintenance work considerably and increase productivity. Plics® instruments look after your plant, ensuring safe, reliable operation. That’s about as convenient as it gets! Even in worst-case scenarios, you can rely on plics® and our 24-hour hotline to help fast. In many cases, a simple exchange of electronics is all it takes to quickly get your plant up and running again. But even replacement instruments or products sent in for repair get back to you quickly, immediately ready for use. VEGA makes selecting the right measuring instrument easy: get help and advice from an expert over the phone or assemble your instrument yourself online with our handy selection tools. 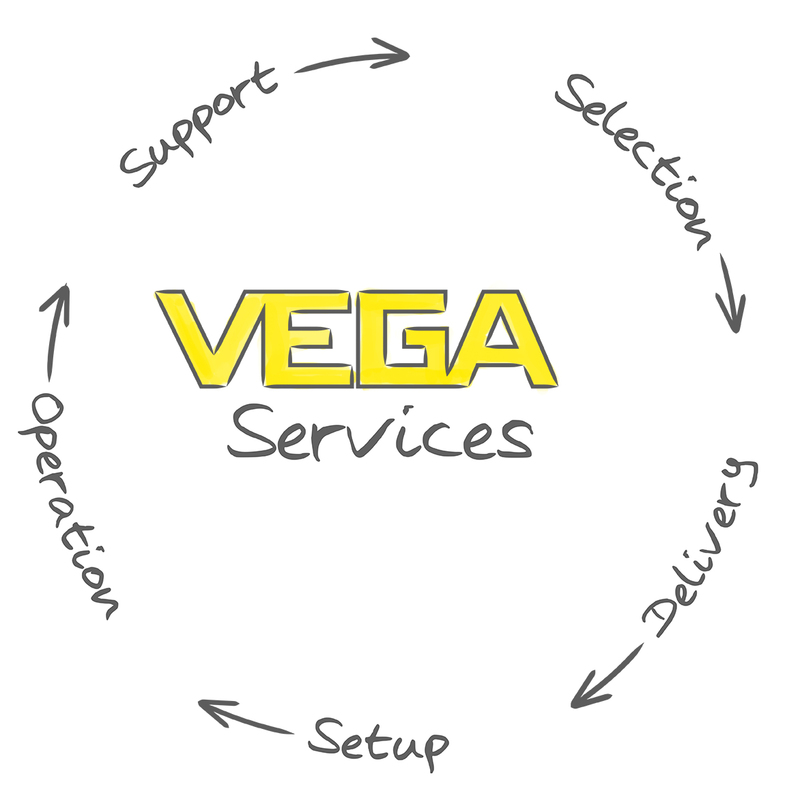 VEGA pulls out all the stops to ensure that your instruments are delivered fast and safe: the clever delivery time concept SPEED and relevant certificates make it possible! Standardized adjustment structure and intelligent software: you can easily install, configure and commission VEGA instruments yourself. VEGA instruments think for themselves and take work off your hands. They ensure continuous operation of the plant, without constantly distracting your attention. This is possible thanks to their built-in, state-of-the-art functions for self-monitoring and predictive maintenance. VEGA instruments are extremely robust, reliable and low-maintenance. However, if something does go wrong, we’re available around the clock to help you get your plant running again without delay.